Company email may not be the first thing you think about when you first decide to open your own business. However, it is something that you will quickly realize you need to put on your to-do list. Unlike buying a Starbucks franchise, you do not automatically get an email at your business domain when you are an entrepreneur. Once you do realize that forming a company email needs to be a priority, the next step is figuring out the best way to go about it. By conducting a quick Google search, you will be inundated with options for company email hosts and free alternatives. This post will help you narrow down the field to the top company email hosts available for small business. Then, you can decide which of these top options will fit your business best. 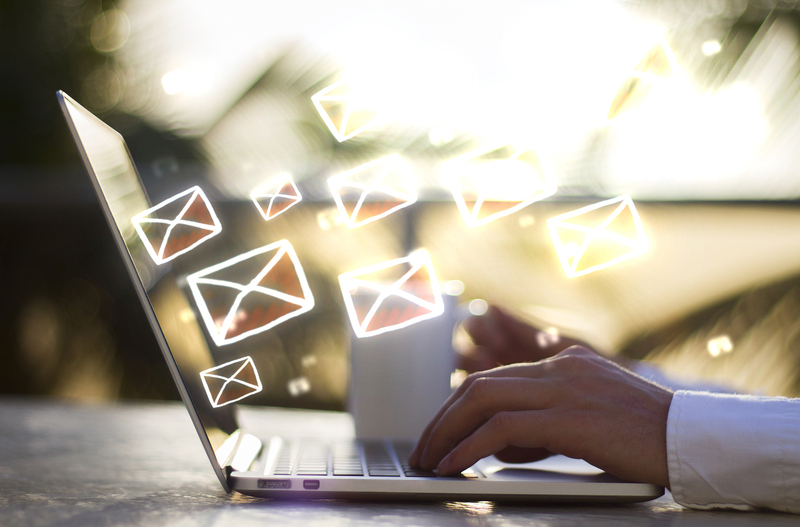 The first company email providers to give consideration are the free ones. If you are looking for the lowest cost option available, you cannot do any better than free. Gmail, Yahoo and other email hosts can provide you an email option that is entirely free. However, it is important to remember that these sites do not provide you the ability to name your own domain. Unfortunately, ceo@yourcompanyhere.com will not be an option. Instead, your email will be yourcompanyhere@gmail.com. This may not provide your customers the picture perfect model of professionalism if you are a top CEO at the company. If you value the appearance of your company email address, these free options are not the solution. However, if you are looking for a free way to set up a company email, consider Gmail, Yahoo or similar. Zoho is a project management portal that offers a WebMail portion for your company email needs. Zoho allows up to 50 users for free and includes the ZohoDocs suite of features. This enables your employees to create and edit documents collaboratively, all on the same user-friendly interface. Even better, Zoho offers you the ability to try out WebMail before your purchase. This way, you can be sure they are the right fit for your small business. If you are looking for a hosted company email that provides extra features and will not charge you an arm and a leg, Zoho is a great solution. Aabaco Small Business is a company email solution brought to you by Yahoo. This interface operates with functions similar to regular Yahoo email. This is a huge benefit when it comes to spam filtration and anti-virus protection. Aabaco Small Business is also incredibly affordable. For just ten dollars a month, your home remodeling business can create an unlimited amount of email addresses with unlimited storage. That is incredible for small businesses on a budget. If you need a low-cost option that is not limiting for your growing business, Aabaco Small Business is a phenomenal company email solution worth checking out. Bluehost is another hosting solution for business emails. If you choose them for hosting a business website, you can also gain access to free domain and business email. Domain hosting prices start at just under $3/month, which is an incredible bargain. This price grants you access to the site’s email manager feature that allows you to set up your free business email account easily. With Bluehost, you can even create up to five email addresses at your domain. If you want a cheap all-in0one domain hosting and email provider solution, consider using Bluehost. Office365 for Business is offered by Microsoft, specifically designed for the purposes of company email. Office365 provides you hosted email and the optional additional benefit of the Office programs such as Word, Excel and others, which is great for when it comes time to write the paperwork for the trademark invention process. Unfortunately, as is to be expected from one of the most recognizable names in the industry, Office365 for Business does not come cheap. Prices for the service are per person, ranging from $5.00pp/month all the way up to $12.50pp/month. However, with all the additional features provided by the premium version, including HD video conferencing and work management tools, you may consider it worth the cost. If you like to know you are getting the best company email available, Office365 for Business is the best choice for you.